Bell’s Bits – Happy New Year! I hope everyone is still sticking with their new year’s resolutions. Thank you for making 2018’s Christmas Inn Our Town a success. Even though Mother Nature caused us to have to cancel four days of the festivities, carriage ridership actually increased from 2017. Thank you to the folks on Inn Circle, Main Street, and all over the City who took the time to decorate their house. I know it brought joy to not only my three-year old daughter, but to all residents and visitors alike. 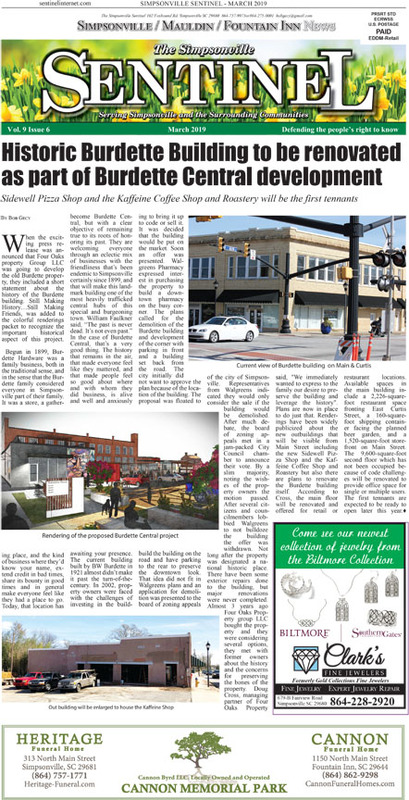 Leadership Golden Strip’s community project of installing a splash pad on Main Street in downtown Fountain Inn is really gaining momentum. You can donate to the project by going to http://www.gofundme.com/lgssplashpadproject. In 2018, the Fountain Inn Police Department had 10,247 calls for service, performed 169,867 business/security checks, and wrote 2,994 reports. Fountain Inn Fire Department had 2,224 calls for service/incidents between the City limits, unincorporated Greenville County, unincorporated Laurens County, and mutual aid. 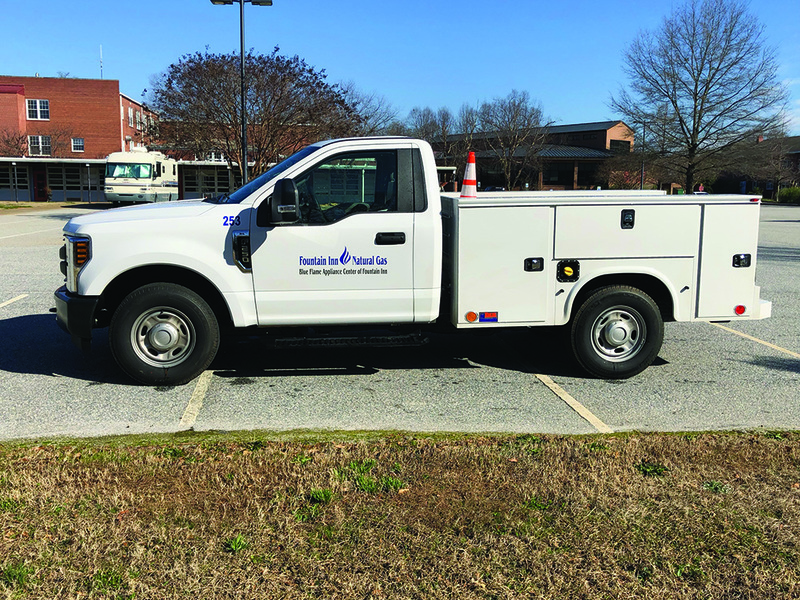 Fountain Inn Natural Gas had 1,148 applications for service, which set a new record. They installed 585 new services, which is a 16% increase from 2017; and they delivered 17% more natural gas than their previous record set in 2014. 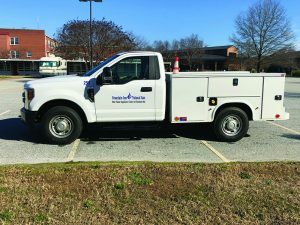 The Department is now supplying natural gas to 80 subdivisions in Greenville and Laurens Counties. What a busy year for the City of Fountain Inn! The City started offering curbside recycling again in August 2018. Since then, we have picked up 27,500 pounds or 13.75 tons of recycling material. We currently have just over 170 recycling customers but we would love to add you to the route! Go to https://www.fountaininn.org/our-trash-collection.html to sign up for this service. You purchase the container, we deliver it, and then all you have to do is start putting the container of recyclables out at your curb every other Monday. The next several recycle pickup dates are January 28, February 11, and February 25. Calling all Elvis fans: Rick Alviti will be performing an Elvis Tribute called, “That’s the Way it Was” on Saturday, February 16, 2019 at 7:30 p.m. at the Younts Center for Performing Arts. Also, make sure to plan ahead and get your tickets for The Hunchback of Notre Dame, which will be performed from March 22 – April 6. Our next Neighborhood Roundtable meeting will be held on January 30 at 6:30 p.m. at Golden View Baptist Church. If you haven’t been to one of our neighborhood roundtable meetings before, we periodically hold informal discussions with no meeting agenda with different neighborhood associations, civic groups, non-profits, and more. City staff and one or more members of City Council attend and we try to answer questions and address any concerns the group may have. They are open to the public and you don’t have to live in the neighborhood where the meeting is being held. In addition, be on the lookout for more #AsktheAdministrator Facebook sessions, #AdminOnTheGo (City Administrator mobile office hours), and Coffee with Council in 2019.